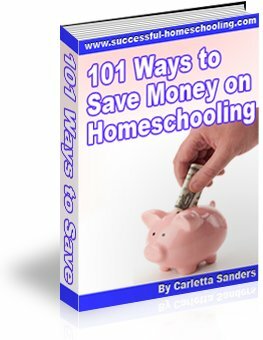 Do you need help homeschooling children with special needs? I recently had the pleasure of interviewing expert C.J. Rezac, regional director of Little Giant Steps. In our interview, C.J. shares her experience with the nuerodevelopmental appraoch to homeschooling ADHD, Aspergers and special needs children. You can read the full transcript of our interview below. What type of challenges might a parent encounter when homeschooling children with special needs? He's smart, but he can't seem to integrate and recall information he knows. Every day is such a struggle. My child isn't retaining information and seems so disorganized. She can't follow directions and there are daily errors in all subjects, really seems careless, but I know she's trying to be conscientious - she and I are confused about what's going on. My child seems to lack the ability to learn phonics ~ we've worked for two years now and still it's a mystery. He's so frustrated, because he's a bright kid, and we can't figure out why his performance in his studies don't match up with his abilities - It doesn't make sense to him or his parents. We can't figure out whether our child has a behavior problem or a learning problem. There are so many quirky things - can't read, but can remember and tell us things he's heard. Has great difficulty settling down, seems to be distracted by the littlest things. Why do children who seem very bright and capable sometimes have trouble learning? Having great intellectual capacity doesn't assure the ability of utilizing that capacity if developmentally the child missed activities that organize the lower levels of the brain. We come into this world looking like a finished package on the outside, but the truth is, much must be developed on the inside. Our primitive reflexes are all a part of the first steps in mapping our brain, so thought (carried out by the brain) and action (carried out by the body) needs to be developed into harmonious and coordinated interactions with the world and the people in our environment. Our senses must be developed to work properly by constant stimuli which creates and builds the "wiring" (neuro-pathways) that results in strong communication between the brain and body. When we see a child, teen or adult struggling with receiving, comprehending, storing or recalling information, there is a solution (barring some medical trauma). That solution is to address the processing deficits and force the plasticity of the brain to make, strengthen or repair the connections between the brain and body. It's all done naturally, without the need for drugs. It's a matter of fixing the root cause of the learning problem. How do parents distinguish between a child who has a learning disability that needs special attention and a child who just needs more time to grow and develop? Most parents know when they are seeing a deficit in their child. At first it seems like a fluke, then it keeps happening. I knew my son wasn't processing like his sibling by age 2. I waited until he was over 5 to have him tested, as each child is unique and observation of their development needs to be given time, as all experts will tell you. What they don't tell you are the things to avoid that could hamper their development. Like having your infant or toddler in seats, jumpers, walkers rather than on the floor on their tummy, and all the good activities that assures robust neuro-efficiency. My son was up and walking by 8 months. I didn't know he needed lots of encouragement to crawl in order to get the lower levels of his brain organized. The good news; is that you are never too late to capture those missed developmental moments. So, he crawled a lot at age ten. There are so many things that we can do to assure our kids processing abilities are age appropriate. Engaging their tactile, visual and auditory systems in play, like skipping and alternating touching the opposite knee twice a day for two minutes. These kinds of things can turn into pure gold, as they develop mind-body connectivity at any age. So, it's never too late! We can always improve the situation. How much and how long it takes is unique to each child. You do the activity until the function shows up. One day, suddenly, they'll have it and then they gain use of their full potential. When should parents who are homeschooling children with special needs seek outside help, and what type of help should they seek? First, you need to make sure there is nothing physiologically or medically amiss. It your child is healthy; then observe the areas they are struggling in. Seek those who can provide the services that are the best fit for your belief system, what you think your child needs and can offer you a good knowledge base or training. The Neuro-Educational Specialist (ND) works in the field of education and assesses more holistically (academic, developmentally, visual, auditory, motor skills (gross and fine), language and manual). They are considered more eclectic in their approach and they will utilize other specialists as needed. The ND's job is to bring the child up to their grade performance level, by teaching parents or caretakers what to do to solve the educational deficit. For instance, there are disciplines that work with one piece of the puzzle that we do not provide. For instance, when a LGS Neuro-Educational Specialist sees a child during the course of an evaluation with eye problems; we refer them to a Developmental Optometrist. Occupational therapists may be called upon at times or Nutritionists, depending on the unique needs of the child. What are the academic advantages of homeschooling children with special needs? Scientifically it has been proven that a child taught by the parent is the best-case scenario if the parent is willing to organize, mobilize and has embraced the teaching role. A parent is the best authority on their children. Especially if it is a special needs child. They understand the rhythm of that child, and I've always found the homeschool parent innovative in adapting what must be learned to serve the needs of their child. They will seek a solution and be persistent in their quest. Also, the homeschool parent has a great advantage of being able to get course work out of the way in half the time of a traditional school. They can be a catalyst for true exploration of the world outside their home. They can teach toward high-interest areas, which is so valuable for a special needs child. The ability to teach family values is one aspect I feel will equip their children to be good citizens and happy within their own lives. What are the social advantages of homeschooling children with special needs? Socially, a special needs child must have good examples set before them. Having a loving parent at their side; it doesn't get any better than that. Because of the latitude available to the homeschooling parent, the level of exposure to all kinds of experiences can be controlled to the advantage of the child. It's amazing what I've seen in several special needs children as they grew up. As they became neurologically efficient, they were more engaging with people at church, community and involved with events. I once took a young woman who had been on a neurodevelopmental program to church with me. I wondered how she'd do in a totally new environment. She'd never been to this church, never gone through the rituals of this particular church service, and she didn't know a soul outside of me. She was diagnosed with a 40 I.Q, but because her brain/body connections were processing to full potential, she was able to read and do math at 4th -5th grade levels. To my amazement as the greeter handed her the church bulletin, she looked him in the eye and thanked him. I then introduced her to this man, to see what she would do next. She carried on a conversation!! She followed along with the church services and interacted with those around her appropriately. That's the kind of difference we can see in our children with special needs when equipped with a functional solution that can help them travel at a level that is up to their God-given potential. Are there any disadvantages to homeschooling children with special needs? If a child was in a situation where the parent was suffering from a mental illness, personality disorder, or a serious medical involvement; then expecting that parent to respond to the educational needs of a special needs child could be devastating for both. Not all homes are ideal and some parents do not or cannot provide the kind of structure required for teaching their child. In that case, if a homeschool co-op or a tutoring situation could be worked out, then that could be an alternative. Of course, we always have private and public schools. However, in today's society I would choose those schools very wisely. I am convinced all the advantages touted by the schools can be met by parents who are capable and devoted to raising a well-rounded, well-grounded child and by providing a secure childhood learning environment. What challenges do parents face when homeschooling children with special needs? In a word, I would say ignorance is a major challenge. When we don't have knowledge of what our child needs educationally, and when we don't know what's possible; then we can't do the best thing for any child. Children who struggle with symptoms of a learning problem, whether they are labeled as learning disabled or not, can find relief. We know that the brain is not static. It can be coaxed into repairing, creating and restoring improved function regardless of whether the child is gifted, typical, ADD, ADHD, PPD, autistic, down syndrome, or mentally challenged. Our modality was first utilized on children with cerebral palsy. The results were so amazing; they found all children responded positively, because, it's a natural part of development. When developmental steps are missed, they can be picked up and that arrested or missing development is retrieved and set up, as was intended. We teach parents how to activate something our minds and bodies were created to do. We believe many child-rearing practices due to societal changes are a high contributing factor in learning disabilities. Sometimes we don't know the cause. The challenge for parents is finding the information that will teach or lead them to greater knowledge and understanding. Little Giant Steps (LGS) offers both professional evaluation services, and home programs, but always we educate before we initiate anything with a family. We realize it must be right for them, because it requires a commitment to do the recommended activities for a period of time on a daily basis. The family needs to decide what model makes the most sense to them for their particular child. How do parents without special training and expertise do a thorough job of homeschooling children with special needs? In our case, we impart knowledge, skill and expertise all along the way. We know the parent is the expert with their child. We teach them to be an expert in applying techniques that have worked for children over the past 40 years. It's not rocket science. It's doing specific activities that result in the development of neuro-networks which results in the improvement of the ability to learn. Our home program is called Developmental Foundations. It is a "first-step" home program, which is designed to cover the most basic areas of developmental function. The parents are trained by professional Neuro-Educational Specialists online. Everyone in the household can gain better neuro-efficiency. They have access to our professional training program that covers the basics. Many children will respond and flourish with this program. For other children, who have more involvement or are more severely challenged, a professional evaluation done by a Neuro-Educational Specialist (ND) is the best choice. The parents are taken through the entire testing results. A complete consultation is a part of the evaluation to discuss where their child is academically, and to cover the results of a developmental assessment, which is posted on a developmental profile. By the end of the evaluation, the parent can see their child through the eyes of a professional - where they are and where their program is headed. We support and communicate with families on a weekly or monthly basis. The program stays in place until the function shows up. The students then graduate from our program. It's amazing how much growth and development their parents report back to us long after we are no longer in the picture. Typically, the time to correct learning issues can be from 4 to 24 months, depending on the child's situation. What advice do you have for parents who feel unqualified or unequipped for homeschooling children with special needs? You will never know what you can do without seeking what's available. Educate yourself. There are associations and help groups in abundance. Also, seek assistance from professionals. Now, I am not so naive to say you'll know exactly where to go, but I do know if you will seek with all your heart; you will find the right solution. In my own personal case, I kept looking to teachers and educational professionals to help my son. I could see the vastness of the disparity between his intellectual capacity and his performance. It just didn't make any sense, because he was so smart, despite his severe learning disability, he managed to keep his grades above average. Therefore, he was dismissed by the school special educators as not needing help. It wasn't until I saw him crash emotionally due to the pressure of what his daily struggle cost him; did I look outside the box. Putting your child on the road to reclaiming their God-given abilities with their own unique potential is very possible in this day and age. No, we won't change some things, but we can improve many things significantly if we will read, study, and not take "NO" for an answer. If you can't do the teaching by yourself to start off with, then seek those who can help and guide you. If you can't afford intervention by a professional, then find a sponsor who will help your child and family. We have a new non-profit organization called Steps Of Hope set up to give scholarships in such instances. The Home School Legal Defense Association (HSLDA) has funded children for our professional services and learning materials in the past. There have been church groups who, when a parent let them know they needed help, have sponsored their child. These sponsors have seen the benefits of their participation by seeing an autistic child in their congregation who never made eye contact or interacted with peers come out of their shell and become an active participant in Sunday school activities. Trust me the sponsors have such joy in seeing the difference they've made possible in this child. There is help. You must seek it. You must ask for it, if you need help, for the sake of your child. How should parents go about designing a curriculum for homeschooling children with special needs? Again, rely on professionals who are a good fit for what you need. We provide or even write a curriculum as a part of our professional evaluations upon request at no additional cost. There are associations, homeschool and special needs groups where you can learn from those who've gone before and are willing to share information and knowledge. It's up to you to decide what you believe is in the best interest of your child. We want to make you as successful as you can be with your child. You may have to interview several professionals who have expertise in learning disabilities or your particular needs before you discover the best fit for you and your child. So, just do it. Between the two of you, you will come to what you know is right for your child, because you are the expert there. What should parents who are homeschooling children with special needs look for when choosing curriculum? As I mentioned earlier, LGS Neurodevelopmental Approach is focused on first getting the child to be able to process information efficiently. We have developed products that do, in fact, educate and equip students with required subject matter. Making sure the developmental component is addressed is as important as the core classes. We have preschool program "Math N' More" that teaches math, reading and writing readiness. It is a wonderful curriculum to start a preschooler, mentally challenged or down syndrome child. It covers the needed skill sets, but in a neurodevelopmental modality. Our math facts program "Flash Facts" (soon to become known as Rapid Recall System) is designed in a multi-sensory fashion so as to get the most bang for our buck in stimulating the brain to create neuro-networks, so as the math facts being installed (learned) will be there permanently with rapid recall for the rest of their life. They learn their math facts in 7 minutes a day. So, I would look at our website, as we have a section "Curriculum"
Describe the neurodevelopmental approach to working with special needs students. The most important point is that everyone can take advantage of the use of the LGS Neurodevelopmental Approach. Age is not a factor, learning issues can benefit, and whether the condition is high or low I.Q., diagnosed or undiagnosed, the ND Approach is an intrinsically natural way to increase the level of function from so many different vantage points. If the child, teen, or adult has an unorganized brain, through this methodology it can be fixed. If one suffers from language deficiency it can be enhanced. Mixed dominance issues can be remedied. Auditory, visual or tactile processing deficits can be brought up to appropriate grade levels. Balance, coordination and proprioception (knowing where one in a defined space) is improved. Hyper or Hypo-sensitivity can be leveled by working with the mind/body connections. All these things can be life-giving to a special needs child, but also to any child. How does the neurodevelopmental approach eliminate learning difficulties? Quite simply by treating root causes of the learning issues. When neuro-networks are soundly established and functioning efficiently the symptoms of learning disabilities go away or are greatly reduced. The ability to receive, comprehend, store and recall information is at a much improved rate of functioning and along with the input and output of information enhanced, the organization of the lower levels of the brain allows for efficient use of information. Once we see neuro-efficiency established through the developmental processes as evidenced by the ability to retain and recall information; the anxiety, stress, coping and compensating behaviors are no longer creating frustration, feelings of daily failure and chronic low self-esteem. The entire state of the individual's level of confidence is free to grow and learn without the baggage of faulty communication between the brain and body. How can the neurodevelopmental approach help children who don't show signs of having any specific learning challenges? Everyone can benefit from neuro-efficiency. We promote, through our programs, setting up the conditions for optimum organization of the lower levels of the brain. Often times many children need just these basics to get the best use of all their potential. However, this is not just for children. All human beings can benefit. It's a natural way to enhance one's performance abilities. How can parents who are homeschooling children with special needs combat lack of confidence and low self-esteem in their children? Children are good observers of what's okay and what's not. If a child is plagued daily with failures on varying levels, then they know it more keenly than those around them. The by-product is frustration and loss of self-confidence. If allowed to continue for a long time, then we see self-loathing and self-defeating behaviors (whether it comes in the form of emotional rage or depression, or becoming the class clown.) All these behaviors are defensive states. The best a parent can do is to gain knowledge about what they are seeing in their child's behavior. Find a professional who can teach you about those aspects, whether they be educational, spiritual, mental health or medical. I would even say many associations and support groups can be good resources in the journey to understanding and find the solutions you're dealing with. Seek the answers and keep talking until you find a person who resonates with you and your child's situation. How did you become affiliated with the Little Giant Steps? I met Jan Bedell, M.Ed., M.ND through a friend in 2001. When I asked her what she did, she responded, "I'm a neurodevelopmentalist. I work with children with learning disabilities." I immediately got excited and said, "Oh yes, I worked with my son back in the 70's with a neurodevelopmental program. She was stunned, because rarely does anyone know what a Neurodevelopmentalist is or does. Then, I told her how the ND program my son was on for two years literally saved his life. The disparity between his I.Q and his performance was so off, it was scary. He couldn't tie his shoes at age 10. I personally discovered how getting a child's wiring fixed can take them from someone who could barely write, or read to becoming a specialist in dental surgery. It wasn't too long after that Jan asked if I would be interested in working part time. The part-time was very brief, as we have became good colleagues who share a passion for making a profound differences in the lives of struggling children, and we know our strength comes from the Lord. He is the CEO at Little Giant Steps. My background of having been a Mental Health Nurse Therapist for a State agency for 14 years and having personal experience in ND prior may have helped her decision a little bit, too! What type of clients does Little Giant Steps work with? Our typical clients are those who are smart, but are underperforming academically. We see many children with Dyslexia, ADD, ADHD, Autism, Down Syndrome, and mentally challenged. We offer a solution of helping these children, regardless of their circumstance of birth to come into their full potential drug free. We take what God has provided (the plasticity feature of the brain) and exploit it. We help build better wiring between the brain and body. We eliminate dominance issues, processing problems, and many symptoms by changing contradicting areas into compatible ones. We often make a computer analogy. Our modality takes the person experiencing life and learning from a dial up connection (It takes too long and windows of opportunities in learning are missed) to a high-speed line. (One that's organized and can receive, store, send and recall function (information) instantaneously. What type of support does Little Giant Steps offer? We have a person who does nothing but support our parents and clients. She has been there, done that with two of her own children. She knows what it's like to have a son who's been on Ritalin for 6 years and to see him come out of his ADD, ADHD symptoms to graduate high school, attend college, and be gainfully employed, and he has just been blessed with a baby boy! She also knows what it's like to have a son who was diagnosed as PDD (Pervasive Developmental Disorder). As a small child the neurologist said he would never be able to take care of himself, because at that time he was "really a mess" as she says, "Biting himself, banging his head repeatedly and out of control most of the time. Today he owns his own truck, is gainfully employed as a maintenance man, is a lecturer often in church and has a heart of gold." He does take care of himself, and loves the Lord. She has worked with supporting our families for nine years and in my opinion, she is absolutely the best. What advice do you have for parents who are homeschooling children with special needs? If believe your child has potential, but you seem to be in a place where you see consistent disruption in him/her being successful and improving in his/her abilities, I'd recommend they seek a screening that our agency is now providing for a mere $35.00. It's not a full evaluation; it's a snapshot of the level of functioning. We look at whether they can visually, auditorily and tactilely process information up to their grade level. We then provide all test scores for all parents at a seminar either that afternoon or evening. We teach parents how read and understand the tests, what they mean and what can be done to help their child. In fact, we have so much free information on our website, I've had parents read the free articles, attend one of our seminars and then take home what we've taught them and execute the activities for 4 months (daily). Like the mother who came to our booth at a book fair a few years ago. She ran up to me and gave me a hug. In my state of surprise, I asked her, "What is it?" She said, "Remember when I went to your seminar almost a year ago?" I did remember her, as she was taking notes like crazy. "Well, I took everything you guys said. I used your free test kits to see how my son was processing from his hearing and seeing. Then, I just did those things you showed us how to do and what your articles said. My son, thanks to you, is a changed little soul. I could hardly believe it when all of a sudden he was getting it (academics) and he settled down and is a much happier child! Even his teachers at Sunday school made mention that he was doing so much better, not the disruptive, anxious kid he'd been. So, I just had to give you a big hug and thank you for the work you do." I took her hand, looked her straight in the eye and reminded her, "No, my dear, you are the one that brought this about in your child's life by recognizing he was struggling, seeking an answer, then being devoted, committed and faithful enough to do the activities every day. You need to hug yourself, because you made a miraculous difference in your son's life. God bless you!" As I said earlier, this is not rocket science. It's picking up those areas of dysfunction and enhancing them the way nature intended. It's all about development! For more information about homeschooling children with special needs, visit www.littlegiantsteps.com. Follow this link to read my friend Christi's account of Homeschooling Children with Dyslexia. You can also find information and support at NATHHAN, a support group for parents who are homeschooling children with special needs, and Learning Abled Kids, a website with information about teaching children with learning challenges.